Kid A was born in 2000, towards the end of New Labour's first term. Kid A parents were quietly thinking about religion (and whether it looks unfashionable these days), but mostly about which young and upwardly mobile people to invite around, and which shirts showed sweat during important meetings. Kid A would grow up amid ever-escalating tests that made school un-fun, but new media all the more exciting. Kid A's parents were secretive about whether or not they gave Kid A the combined jab (increasing the risk of autism), and there was a lot of gossiping about who was doing what (with little regard for actual medical advice), whilst no-one seemed to question the fact that everyone's kids seemed to be on the spectrum of autistic disorders nowadays… could it be all that time spent in front of the computer? Kid A grew up with a fear of public transport, after something happened he only dimly remembered, and so he liked the safety of his parents' big car, although sometimes there were scratches down the side, in the morning, like a wild animal tried to get through the doors. Kid A had nightmares about a street full of people carrying babies in coffins that his parents couldn't explain – maybe he saw it on the History Channel? It's almost as if it was a memory from another life, seen through a fog of amnesia. Kid A knew there were bad people in the world, but they were far away, and they abused our trust, buying our weapons to defend themselves, they said. All in all, Kid A was - on average - fitter, happier but by the time he was eight or nine he could see the poor kids were dropping out faster; you only noticed after their grades slipped that more often came from those rows of identical houses in the labyrinthine estates – until then, they seemed equal to you, identical, almost like you're all clones of each other. "Kid A is dedicated to Leo"
Depending on your interpretation of Radiohead's underlying ethos, Kid A (2000) is either: a slightly uneven and generally less dynamic version of Business-as-Usual, with new equipment (samplers, Kaos pads, Pro-Tools) and very old (the Ondes Martenot, a jazz horn-section, a pump organ) all so as to provide new textures, in place of custom-built effects-pedals; OR it's an unprecedentedly bold move into electronica for a band who in the 1990s pretty much perfected (post-punk and new-wave derived) guitar music; OR it's a very-much-precedented move into electronica from a bunch of charlatans who could be reasonably confident a bit of dabbling wouldn't be a career-killer (cf. Bjork's Homogenic album; Blur from The Great Escape onwards; UNKLE's Psyence Fiction). There's a lot of truth in each of the above. Thing is, about half of Kid A is a legitimate "move into electronica" and not a case of "bringing in the synths" as everyone from Genesis to The Strokes has done, when inspiration and musicianship fails them; after all, the dynamics of pop or rock music (geared towards dancing, shagging, exercise, and repetitive tasks) just aren't there. Track by track: 'Everything in Its Right Place' is as bright and refreshing and un-rock'n'roll as a glass of orange juice with the morning papers; Yes, it displays the 'opulent harmonics' Alex Ross praises Radiohead for, generally, and the line "We've got heads on sticks / You've got ventriloquists" is two-party politics provocatively reduced to Itchy & Scratchy, but almost ten years on, it still feels like throat-clearing for the album-proper. Actually, so does 'Kid A', the melody of which stumbles even more naïvely over psychedelic sounds of Yellow Submarine flowers waking up and stretching their petals. For both, Thom may have a shiny new toy (a human voice generating programme), but then so did The Beatles on 'Maxwell's Silver Hammer' (i.e. a Moog). As a pair, they're easy to like, but you have to work hard to argue for their importance. The album hits its stride on 'The National Anthem' and 'How to Disappear Completely', each six minutes long. Darker than almost anything before, the combination of fat, grinding bass and a hovering, otherworldly Ondes Martenot make the former a more compelling depiction of the struggle to speak amidst the cacophony of the early 21st century. The latter took a simple, familiar, busker-friendly chord progression on acoustic guitar (just the one suspended chord dropped in, as a surprise), and placed it over bubbling horns, low in the mix, and swooping violins in a call-and-response pattern with cellos representing dark valleys between these peaks. A few years before, R.E.M. had opened their long, recorded-on-the-road, experimental album (New Adventures In Hi-Fi) with a curiously sparse piano number, and then daringly stuck two astonishingly dark songs back-to-back that threw everything into the whirlwind of Stipe's imagination, and could easily be regarded as career-bests. In comparison, Yorke seemed to be shying away from his voice-of-a-generation status, as a younger Stipe had done... even as Yorke struggled to live up to his heroes. Mid-album, 'Treefingers' erased Yorke altogether, for an oneiric flight over the landscape depicted in the artwork; paradoxically, this was the clearest message yet – if you keep pushing me (again, see Meeting People Is Easy), maybe I will disappear, like Richey Manic. It seems banal to gloss the end-of-days lyrics of 'How to Disappear Completely' as references to Radiohead's Glastonbury appearance ("Floodlights / And blo-wn speakers / Fire-works / and hurricanes // I'm not here / This isn't happening"), and the chorus as a mantra for dealing with stress (or fame?) suggested by Stipe, rather than an existential statement about the illusoriness of a star's persona. Actually, though, if you've seen footage from the stage, outwards across the beatific crowd, you'll know what Thom means, saying "It's not a human feeling", in a later interview. At the time, you could see he was looking over the edge of the world, just as Pulp's last-minute Glastonbury appearance in 1995 had seen them elevated to godlike status. Side Two (as it were) dilutes its highs... but it's not a drop-off overall. 'Optimistic' is a live recording, and far from the best version – others you can find on bootlegs have a looser, funkier, more melodic bassline; Thom's voice sounds like it "Just came out of the swamp..." The choice of live-version was an attempt to cut through their own perfectionism, as a band, but that, in turn, tells you the amount of pressure Radiohead were under as a band – you might expect Thom to experience a hypomanic deluge of ideas... and the inability to choose between all his recent lyrics (ultimately, spread across three albums); the experience was head-spinning, though, for all four players and producer Nigel Godrich. Over the next four tracks, Thom juxtaposes mystical visions and domestic ennui: 'In Limbo' floats you through the waters surrounding the Hellish city of Dis, 'Idioteque' dances while New Rome burns, the album's final harps and strings are a Disneyfied ascent into Heaven… but 'Morning Bell' is the underlying panic of the bourgeoisie, poorly anaesthethised by "Red wine and sleeping pills" in the lyric of 'Motion Picture Soundtrack'). Ultimately, Radiohead shot themselves in the foot by spreading so much innovative material across Kid A (2000) and Amnesiac (2001), not to mention that they shuffled the order and thereby obscured the journey-through-Hell narrative Thom had embedded in his lyrics, after being immersed in his partner's doctoral dissertation about Dante. The (historical) "Story of Kid A" (above) isn't really told on the album, although it's in the background of Kid A, Amnesiac, and Hail To The Thief. From a purely musical perspective, a hypothetical Kid Amnesiac album boasting 'Spinning Plates' and 'I Might Be Wrong' would certainly have challenged OK Computer (1997), and could have been followed by a mini-album just as eclectic as the How's my driving? B sides collection. In almost every respect, 'Packt like Sardines' is a better opener, articulating Thom's resistance to his public image, whilst integrating processed beats and samples with Aphex-like intricacy; the drum-sample collage of 'Revolving Doors' would have bridged the rhythm-dominated tracks at the heart of Kid A better than the drift of 'Treefingers'; 'Dollars and Cents' is the most powerful of the Can-like explorations of rhythm, across the twin albums, underscoring the anti-capitalist tirade that's muddled and scumbled on Kid A. Then again, two (or three?) 10/10 albums in a row, with mounting pressure to deliver a fourth would have broken the band, and which would you rather...? Thought so. 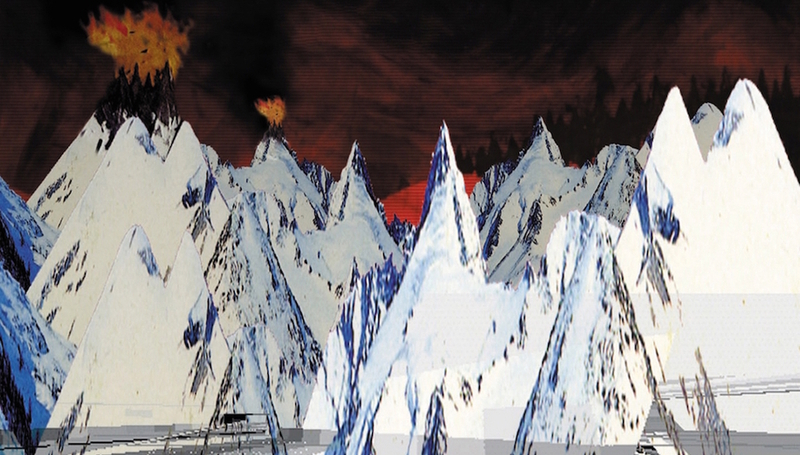 Read more: Radiohead re-issues week on DiS. Plus, how great would Kid A have been if Radiohead had finished this in time, instead of taking another ten years...?